Here are the 5 most asked questions I have received the past week via E-mail and by Google search inquiries. These are the most commonly asked questions about DraftKings. What is OPRK on DraftKings? If it is Green, then that player is up against a weaker opponent (against that position) and should have a good or higher scoring game fantasy point wise. If it is Black, then it is a neutral match up and you can expect a normal point (not great, not bad) scoring game against that opponent. A match-up like this could go either way, very good or very bad, but not out of the players usual fantasy scoring average. If it is RED, beware….. The opponent is very good against that position and a bad/low scoring game by that player is very possible. Do not expect an outstanding scoring game……. Like all things Fantasy, any individual player could always exceed expectations (good or bad) or completely disappoint your expectations on any match-up. Nothing is a sure thing on Fantasy Football. Higher Green numbers of OPRK (21 to 32) are the best to play against, lower Red numbers of OPRK are the worst to play against (1 to 10) and the middle Black numbers like 10 to 20 are about average to play against. Aaron Rodgers is up against the 29th ranked (worst) Defense (JAX) against QB’S last year and is projected as a really good starter in Week One. Eli Manning is against the 5th (best) ranked Defense (DAL) against QB’S last year and probably should be avoided in week one. Russell Wilson is up against the 17th (Average) ranked defense (MIA) and has a neutral match-up, could be good, could be bad, but you could expect his average fantasy numbers in Week One. How much does DraftKings Cost? Want to risk a $5 deposit and play just 25¢ contests? 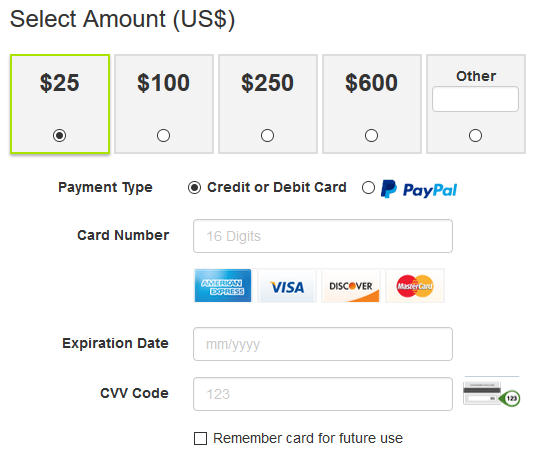 Do it…..
Want to deposit $200 and play $3, $5 and $10 contests? Do it, but be careful, you better know what you’re doing! There is no minimum or maximum amount you can play on DraftKings, play and deposit whatever you feel comfortable with. Just be sure of your abilities (fantasy wise) and be aware you may lose your first deposit or two before your winning abilities start paying off. Most smart players start off small (like a $25 or $30 deposit) and play $1 contests until they start winning, then increase the size of their contest entries as their bankroll increases and they establish their winning ways. 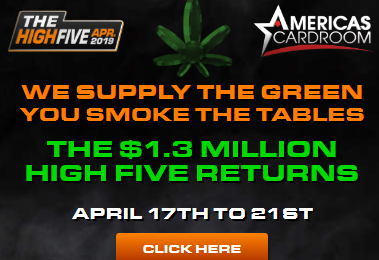 What is the DraftKings Bi-Monthly Freeroll? Every time you deposit on DraftKings (first time or reload deposit) you’ll get a ticket to a free roll….. When you deposit is the key……. Make a deposit between the 1st and 14th of each month, and earn a ticket to a $1k free contest on the 15th. Make a deposit between the 15th and last day of the month, and earn a ticket to a $1k free contest on the 1st of the following month. Can I use a Pre-paid Debit/Credit Card or Gift Cards on DraftKings? Yes, but there are restrictions. Some U.S. states will limit your deposit options on DraftKings to just Paypal. When you sign up on Draftkings and go to the deposit screen, you’ll be asked where you are located. If there are any restrictions where you live, you’ll have only the permitted options for depositing in your area. DraftKings will determine your location automatically and only allow access to your options in permitted locations. If Credit Cards are allowed in your area, you can use any prepaid debit card, credit card, gift card or your normal banks debit card on Draftkings. There is no extra service charge on DraftKings for using any credit or debit card and your transaction is made on secured (https) connections. Do I have to deposit to play on DraftKings? No, you can play for free, with no money of yours at risk. 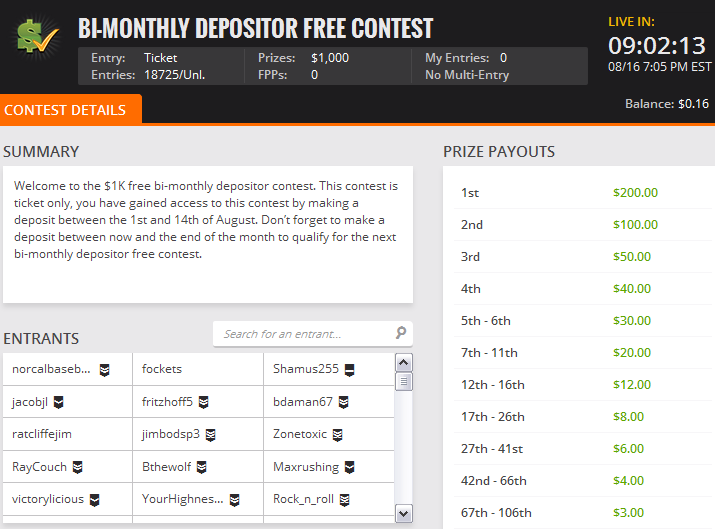 Just visit the DraftKings main lobby and look for Free Contest Arcade Contests. They are completely free to enter and offer free to play games on every sport, in season at that time. Each Contest will pay cash or merchandise prizes and give everyone a chance to try DraftKings with no risk and allow you to learn the in’s and out’s of daily and weekly fantasy contest play on DraftKings.